Don’t miss ANY moment. 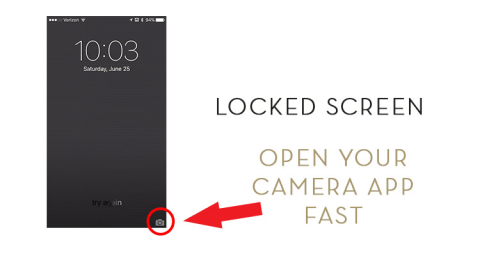 To get to your camera fast do one of two things depending on if your iPhone is locked or not. 2. Locate the camera icon on the lower right corner of the screen. 3. Swipe up & the camera will open. 2. 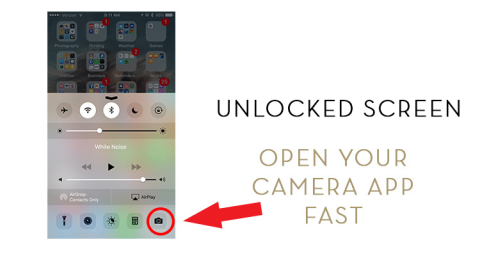 Tap the camera icon & the camera will open. Activating the grid on the i-phone will place a “noughts and crosses” box on your screen as you shoot. What’s the benefit? Where the lines cross is called a “power point.” When you place your subject on of the four points you create images with a little negative space and better, more artistic composition. A little pro tip that will make your images that much prettier! If you have heard people talk about the rule of thirds. This is what they mean but for the phone screen. A professional photographer knows light like the back of their hand, and every lighting situation poses different issues, especially of your camera. A camera cannot see light and adjust the way the human eye can. So, it’s important to be able to tell your i-phone camera how to behave when you need it to in order to get a good “exposure.” The classic scenario that may drive you crazy is shooting a darker subject on a bright background. Your camera will want to make the background look good and your subject will be dark and ugly! ARGH! The way to fix this? 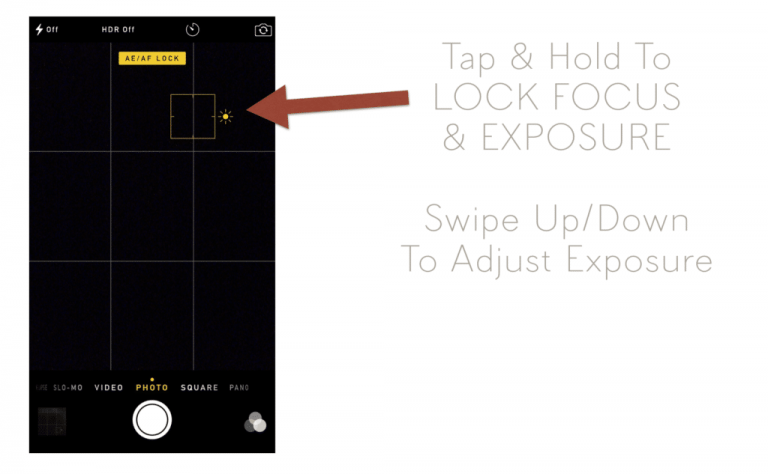 Use the hidden feature in your iPhone that lets YOU control how bright an image is. Try it. 3. Tap and HOLD on the screen where you want to focus. The yellow box will blink and set focus. 5. When you’re happy with how it looks, take the shot! 3. Shoot as you like! Did you know your I-phone can shoot 10 frames per second in burst mode? WHAT? My iPhone has burst mode? Yes it does! And it’s great for catching your toddler on the run. On the other hand it’s also something that I’ve done frequently when someone asks me to take a picture on their phone. I’m used to just clicking once so forget to move my finger and take a gazillion pictures. 1. 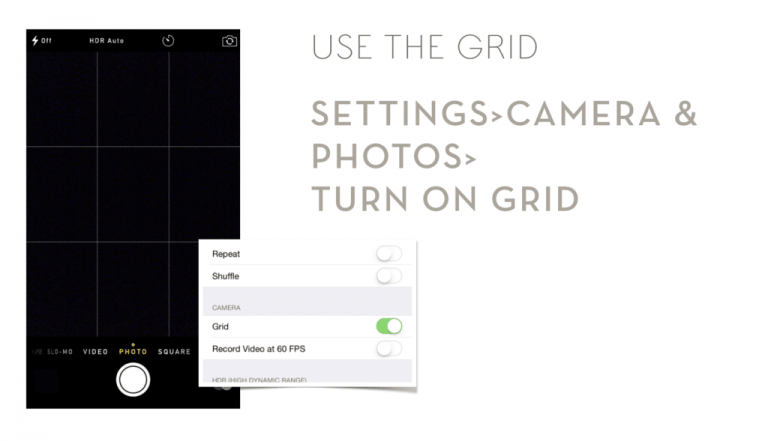 Press and HOLD the shutter release button on your camera app. 2. Voila! 10 frames per second.